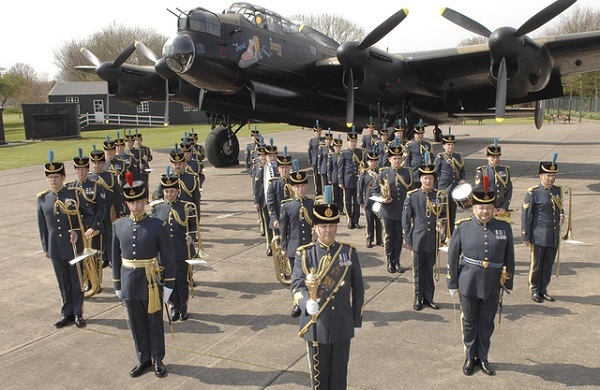 The Royal Air Force’s finest musicians are giving audiences across the country their last opportunity to celebrate the centenary of the service on a special concert tour of 11 venues from Poole on 23 September to Manchester on 31 October. The programme will encompass military marches, big band numbers and classical pieces, presented by the Band of the Royal Air Force Regiment, the Central Band of the Royal Air Force and the Band of the Royal Air Force College. Highights include The Dambusters March and Spitfire Fugue alongside the big band sound of Glenn Miller’s In the Mood and Keep 'em Flying. Tickets are from £10. The first part of the concert tour will visit the Lighthouse, Poole, on 23 September; Bristol Cathedral, 25 September; Symphony Hall, Birmingham, 26 September; Theatre Royal, Norwich, 29 September; Royal Concert Hall, Glasgow, 3 October; and Sage Gateshead, 4 October. Next in line are the Wales Millennium Centre, Cardiff, 19 October; Waterfront, Belfast, 23 October; Royal Concert Hall, Nottingham, 27 October; Marlowe Theatre, Canterbury, 28 October, and Bridgewater Hall, Manchester, 31 October.